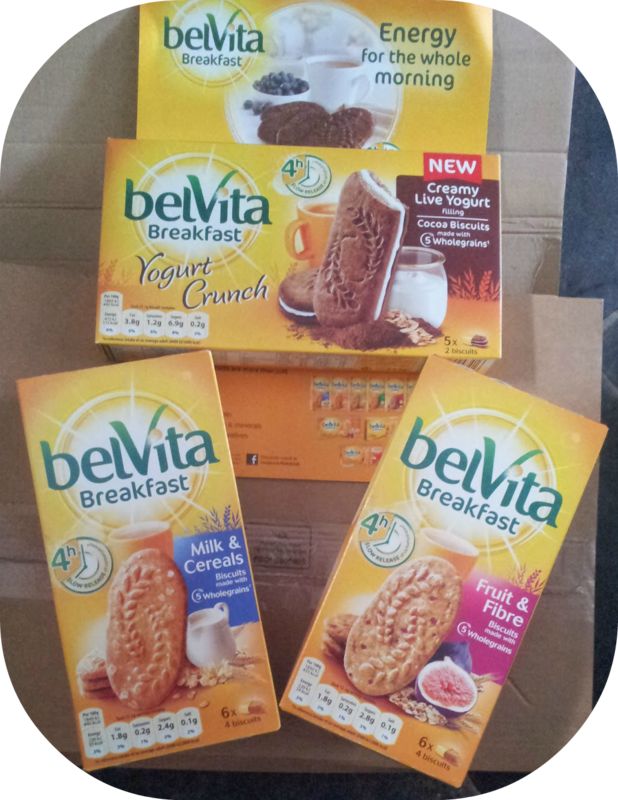 When BritMums requested bloggers to get involved with the BelVita morning stories challenge, I jumped at it. My morning is one of utter chaos and rush. So a biscuit that released carbohydrates slowly, over 4 hours, meant I could grab a quick bite that wouldn't leave me hungry 5 seconds later! I didn't agree to the challenge for myself. I agreed because the 2 biggest males in my house struggle with breakfast. The biggest, Mr.Ojo, tends to be in work, mostly, by 6:30am most mornings. He doesn't want to eat a hefty breakfast that early but, by the time he had his break he's famished. We tend to buy cereal bars to see him through. The other big male, the teen son, has never been a big fan of breakfast (no surprise as, left to his own devices he wouldn't get up until lunch!). This was worrying me, as his GCSEs were about to start. I will not lie to you, I tried the cocoa biscuits, with creamy live yogurt filling, as soon as I opened the box! Me and Mr.Ojo loved them, the teen however, was not a fan. I could understand that though, as he's not a yogurt lover, and you can clearly taste it. I definitely found this breakfast biscuit scratched an itch though, I often want a biscuit with my morning coffee. knowing I could eat one as breakfast is great. He did, however, love the milk and cereal ones. I must say, they have been a godsend during this time of exams, so much so that we have bought more. I have been getting him to eat a pack in the morning, along with a banana. He has felt the benefits, especially as his break times are all over the place as his exams are at odd times. Mr. Ojo has loved having them. He opens a packet and munches through the morning. He is finding he is not as tired, and not famished by the time he comes home for 1st break. Basically thanks to BelVita, I now have 2 non breakfast eaters..........eating a breakfast! I am afraid any pictures were hard to come by! The teen refuses point blank to be photographed and, Mr.Ojo ate them in work, or at 5 in the morning. There was no way I was going to get up at that time to take a picture of him, and the picture might not have been too pretty. Over all, I am pretty positive about the results. I think it's a great idea especially for the busy or, like my lot, not breakfast lovers. sponsored by belVita Breakfast. Learn more at www.facebook.com/belVitaUK. They are fab for breakfast....If we're running late my girls will have a couple! My daughter puts these in her bag on her College days as she doesn't have time to eat breakfast...too busy doing her hair! Still at least she's eating something.